Let our skilled mechanics rebuild your machinery at a fraction of the cost of replacement. All used equipment is disassembled and cleaned. The sewing machine head is then built up piece by piece. All internal parts are examined for fit and wear, and replaced when necessary. Certain mortality parts, such as loopers, feed dogs and needle plates are replaced regardless of condition. 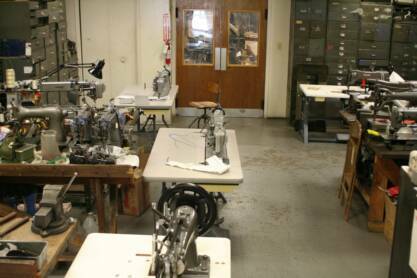 The machine is then sewn off on your material and thread, and prepared for shipment back to you.